Min. Uri Orbach warned that compensation for Jews from Arab countries was likely a tactic to drum up support for Kerry's peace deal. 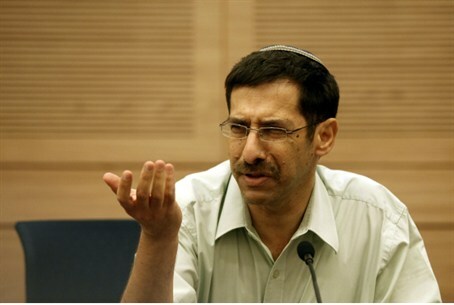 MK Uri Orbach (Jewish Home), who is also Minister for Senior Citizens, expressed satisfaction at reports that the negotiation framework to be proposed by U.S. Secretary of State John Kerry included compensation for Jews from Arab countries who were forced to leave their homes after the establishment of Israel. However, he said, Israelis needed to be wary – because it was most likely a tactic by Kerry to drum up support for what promises to be a very unpopular proposal. According to reports, U.S. envoy Martin Indyk told American Jewish leaders that the compensation component would be part of the proposal, matching compensation to be allocated to the descendants of Arabs who fled Israel when the state was established. However, he said, caution was needed. “The compensation component, justified as it is, was thrown into the agreement to convince Israelis to accept the proposal, as if to say that the more territory we give up, the greater the compensation.